Effortlessly create crossword puzzles with text or multimedia clues, including audio, videos, Youtube, and photos. 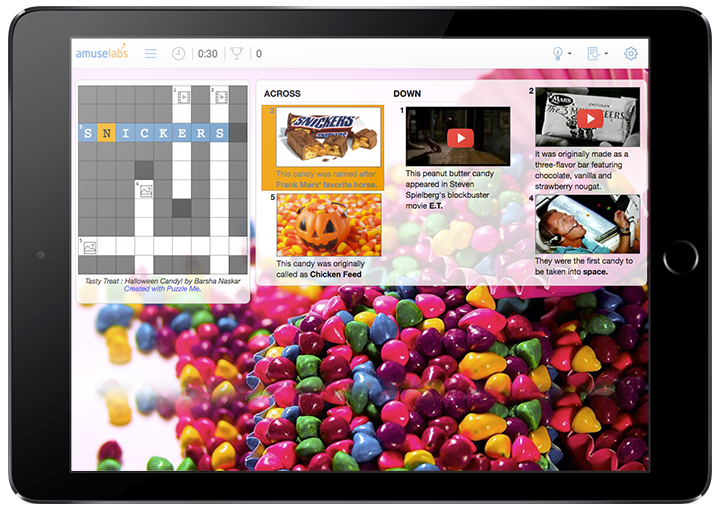 Customize your crossword puzzle’s look and feel with beautiful themes. Your crossword puzzles can have clues and words in any language. Our puzzle player’s interface is also available in several languages. Easily embed your crossword puzzle into your website with a few lines of HTML. Upload existing crossword files (XML/JPZ/PUZ), edit them and add multimedia to them if you like. Free for non-commercial use. Contact us for commercial terms. Present news & information in interactive formats. Link articles and other resources as hints. 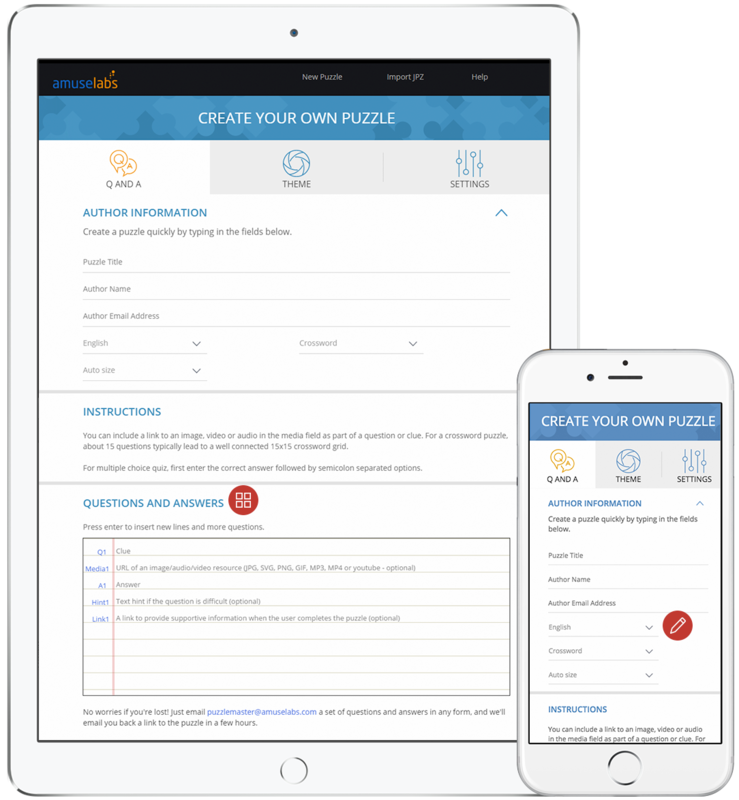 PuzzleMe™ is built for mobile. Its smooth & flawless playing experience across any device is sure to earn you new fans & followers. 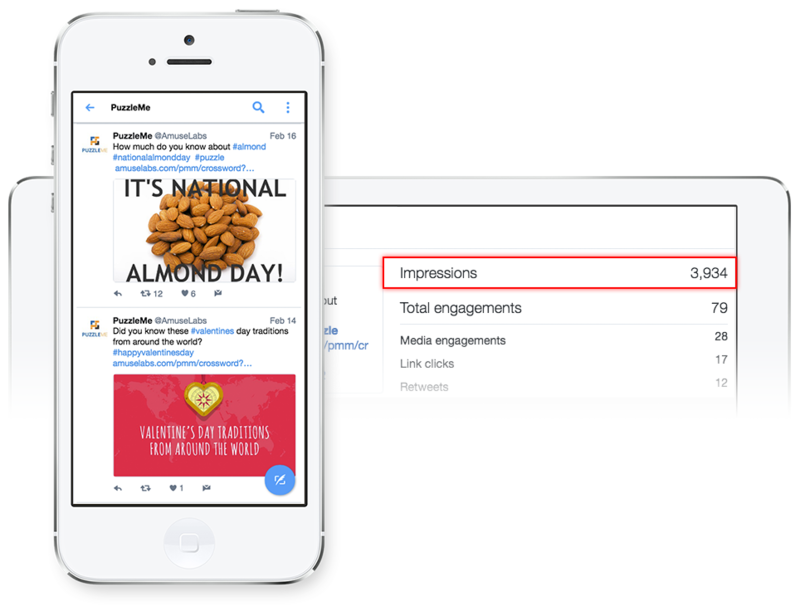 Use the platform for contests, or let users compete using multiplayer features. What are people doing with PuzzleMe™? Paul Bass, the editor of the New Haven Independent is creating crosswords on local stories as an alternative way to engage people with local news. See more. Education: Engaging kids in the classroom: Deb Coleman, a teacher at Southern Wells Community School has been using crosswords as a tool to practice vocabulary used in nonfiction articles to sixth graders. Your crossword generator is amazing …. I tried a bunch of other products for this …. and yours is by far the best in my opinion! …. Thank you for such a great product! READY TO CREATE YOUR CROSSWORD PUZZLE?